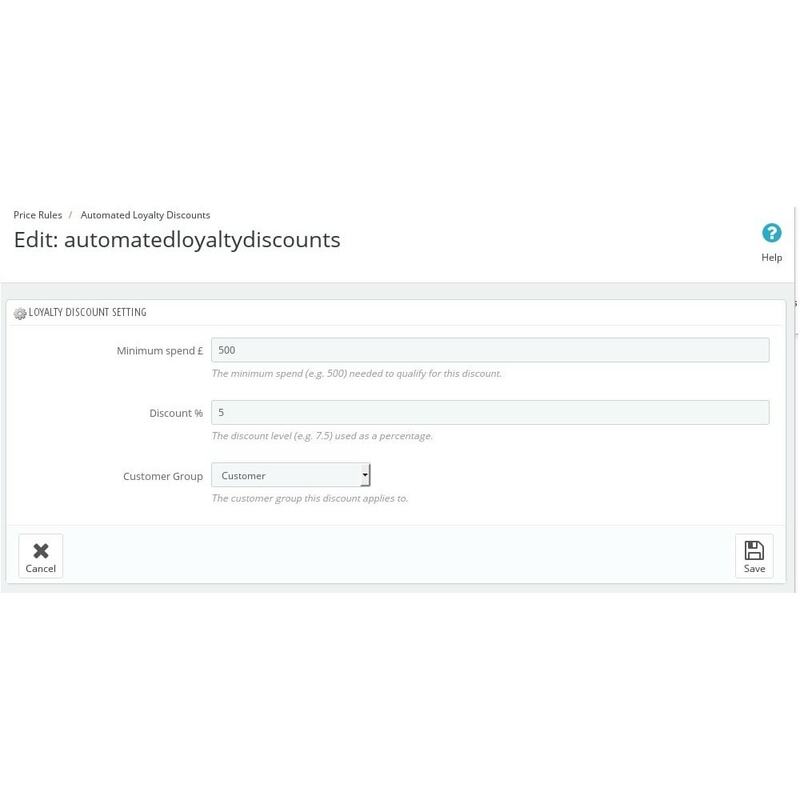 Fully automated: once you’ve configured the discount levels and thresholds the system does the rest. 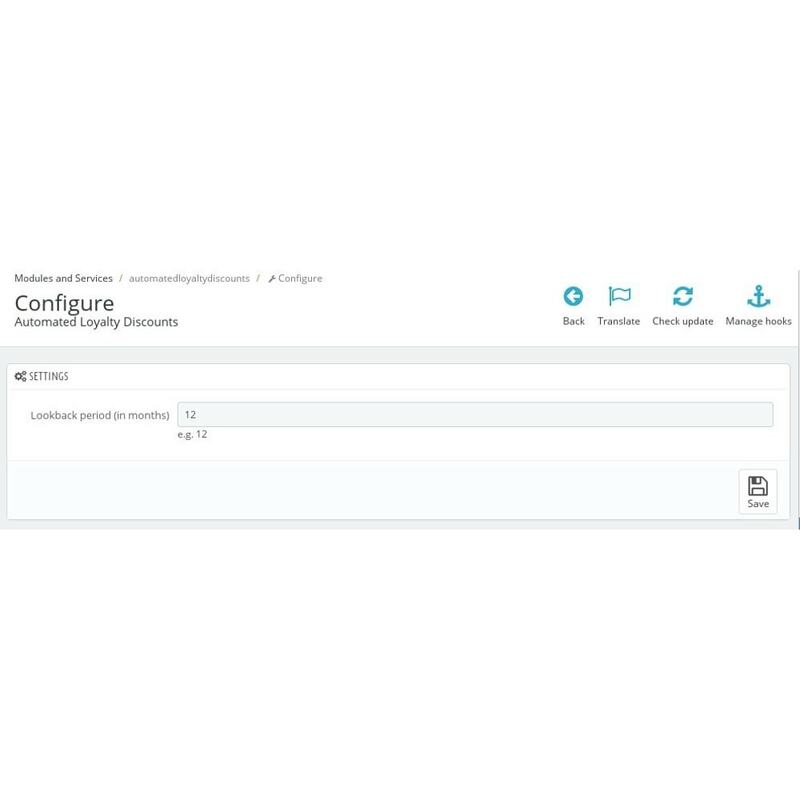 Easy to install - no overrides are used so the code won’t clash with anything. Fully documented code base; all comments in English. 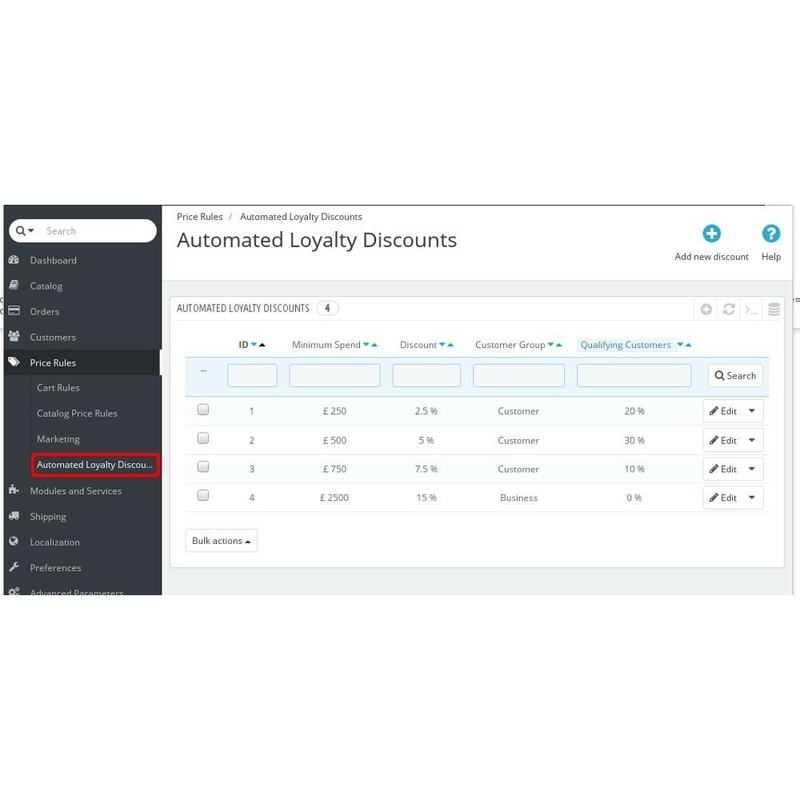 Configure how many months the module should take into account when calculating which discount a customer qualifies for. 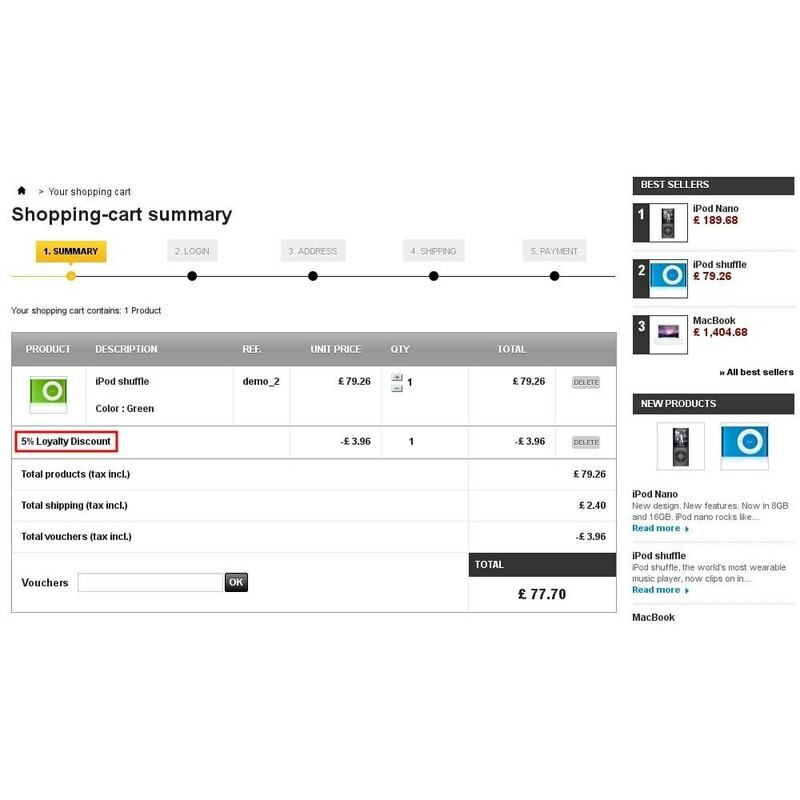 Seamless integration with shopping cart checkout process using the existing discount voucher system - no front end code changes required. 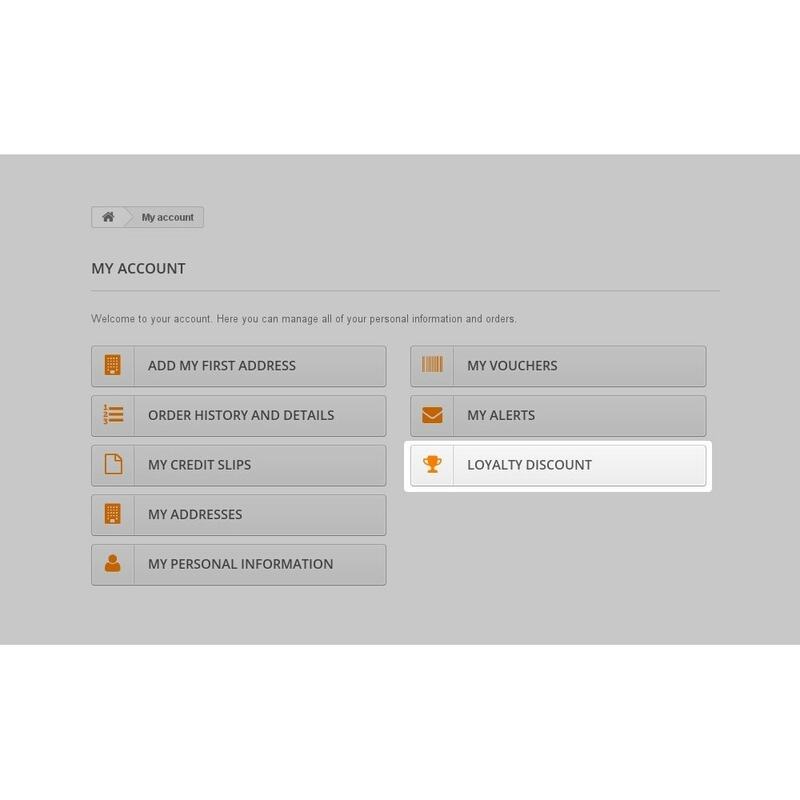 Expired/used vouchers are purged from the system so that shop performance stays fast. 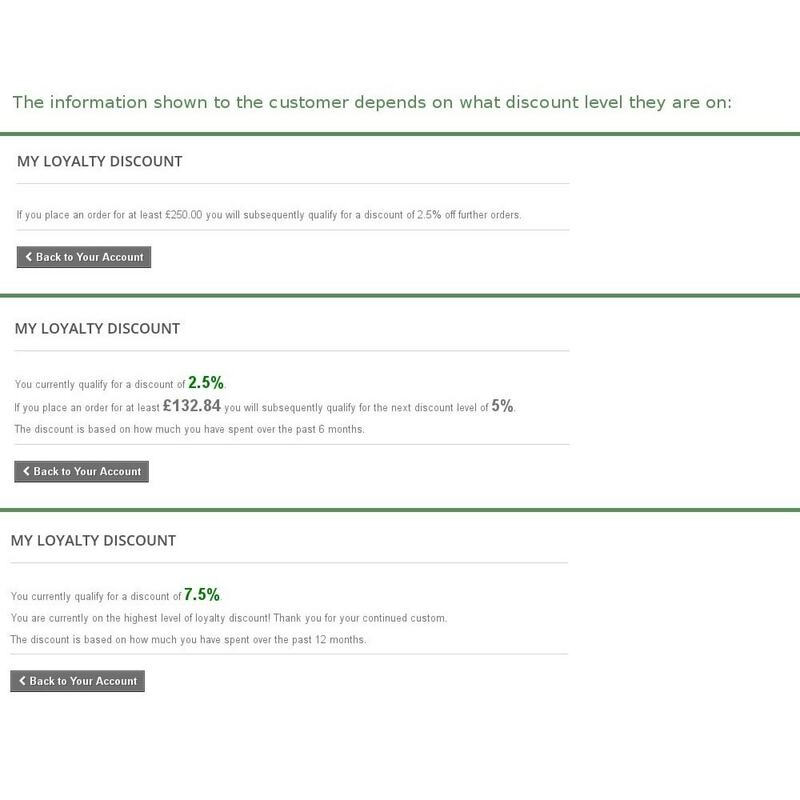 Loyal customers are rewarded: the more they buy the higher the discount!